I used to be thrilled that my blood level of HDL cholesterol, the so-called good cholesterol, was high, the likely result of my devotion to daily physical activity. After all, HDL, for high-density lipoprotein, acts like an arterial cleanser, removing cholesterol from blood vessels and preparing it for removal outside the body. 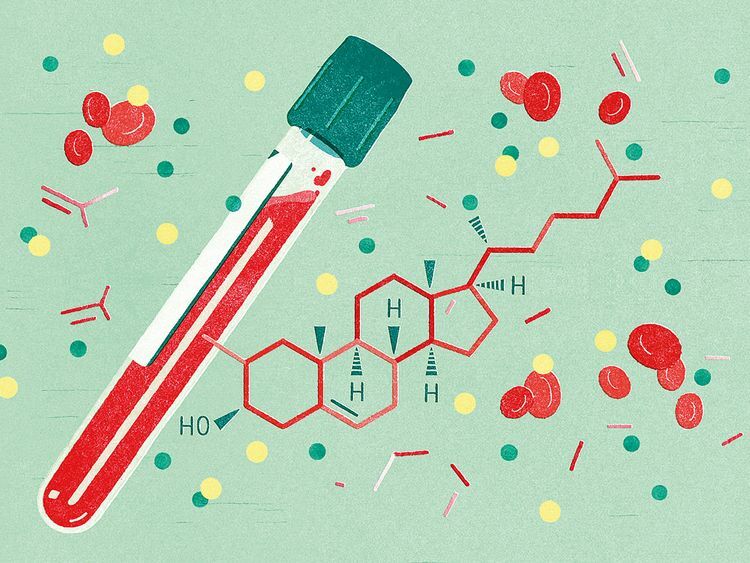 An ample supply of HDL cholesterol in blood serum has long been linked to protection against coronary heart disease and stroke, so what could be bad? I now know that, as with many other good things in life, there can be too much of this usually helpful protein. The best available evidence has shown that most of us would probably be best off aiming for moderation with regard to serum levels of HDL. A series of global studies, large and small, shows that the relationship of HDL levels to heart disease and overall mortality forms a U-shaped curve: Too little or too much of this blood lipid are, on average, associated with an elevated risk of heart disease, cancer and premature death. Although cardiologists can still only guess at why very high HDL levels may incur a health risk, the findings reinforce the importance of focusing less on the “good” cholesterol and even more on the “bad” — the level of LDL, or low-density lipoprotein, cholesterol that is still too high in many adults. These findings, among others, are prompting doctors to rethink their approach to patients who may have an elevated risk of developing a heart attack, stroke or other life-threatening cardiovascular problem. “High cholesterol treatment is not one-size-fits-all,” Dr C. Michael Valentine, president of the American College of Cardiology, said about new guidelines issued by his organisation and the American Heart Association. The guidelines emphasise the importance of personalised care, not cookie-cutter prescriptions based solely on blood test results. Since the last such guidelines were issued in 2013, Valentine said, “we’ve learned even more about new treatment options and which patients may benefit from them.” Experts have also learned that in most cases, it is not necessary for cholesterol tests to be done only after an overnight fast, which should be a relief for both patients and their doctors. When patients are found to have high cholesterol, the new guidelines state that it is not enough to take only traditional risk factors like smoking and high levels of blood pressure and blood sugar into account in deciding whom to treat and with what. Everyone with high cholesterol may not need drug therapy to lower this harmful blood fat. In fact, unless LDL levels are astronomically high or the person has known heart disease, treatment should not begin with a drug but with lifestyle: a heart-healthy diet, physical exercise and, if needed, weight loss. Only when these fail to lower cholesterol should drug treatment be considered, the guidelines state. Furthermore, the organisations recommended that in addition to traditional cardiac risk factors, others that should be considered include family history, ethnicity and disorders like metabolic syndrome, chronic kidney disease, inflammatory conditions, early menopause and even pregnancy-related high blood pressure. If a doctor is still uncertain about which patients warrant a drug remedy to lower cholesterol, the new guidelines suggest getting a coronary artery calcium score, obtained via a specialised X-ray scan that measures calcium-containing plaque in the arteries that feed the heart. Nor should people wait until midlife to worry about their risk of heart disease. The new guidelines emphasise that cardiovascular disease develops over the course of a lifetime; an elevated level of cholesterol at any age has a cumulative effect that gradually increases cardiac risk. Accordingly, the guidelines suggest that cholesterol screening in children as young as 2 is appropriate when there is a family history of heart disease or elevated cholesterol. For other children, cholesterol measurements might be done between ages 9 and 11 and again between 17 and 21, the guidelines suggest. Although there are no specific drug recommendations to treat young people who have high cholesterol, following a heart-healthy lifestyle from early childhood can lower a person’s lifetime risk of heart disease and stroke. So what are healthy levels of HDL and LDL cholesterol? The answer depends on family history and what else might be wrong with you. Dr Marc Allard-Ratick of Emory University School of Medicine in Atlanta, who studied the link between HDL cholesterol and the risk of having a heart attack or dying of cardiovascular disease, told me that having an HDL level between 40 and 60 milligrams per decilitre of blood serum represents the “sweet spot, at the bottom of a U-shaped curve,” where the health risk is lowest. He said having “a very low HDL level — below 30 milligrams — is a marker that you’re not doing well,” and a level above 70 milligrams can be an added risk for people who already have heart disease or an increased likelihood of developing it. Thus, until more is known about how HDL functions at high levels, he and other experts recommend a better-safe-than-sorry approach, avoiding efforts to raise HDL cholesterol with drugs to levels above 60 or 70 milligrams, especially for people who already have cardiovascular disease. “In our study of 5,500 high-risk patients, there was a positive association with all-cause mortality in people with HDL levels of 80 or above,” Allard-Ratick said. However, the level of LDL cholesterol tells a different story. This is the substance that deposits plaque on the walls of arteries, plaque that can eventually precipitate a heart attack or stroke. Current recommendations call for LDL cholesterol levels to be under 100 milligrams per deciliter of blood serum for healthy people, and under 70 milligrams for those who already have heart disease or are at high risk of developing it.